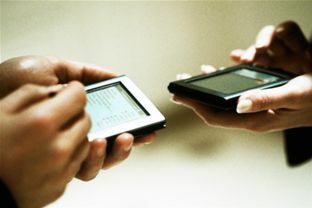 According to the Technology Predictions 2011 report, released by consulting firm Deloitte, non-PC computing devices such as smartphones, tablets and netbooks will prove more popular than PCs. The global business landscape is being transformed by the arrival of mobile technologies. IT is now required to respond more rapidly than has historically been the case. As business leaders today demand more knowledge at a faster pace to make decisions in real time, IT’s challenge of supporting the business as it moves forward has never been more acute, says Yuvinder Kochar, Chief Technology Officer and Vice President Technology, The Washington Post. A speaker at the marcus evans CIO Summit 2011 in Dallas, TX, April 11-13, Kochar explains that technology is now a central tenet of any business. He says cloud computing is at an early stage but the agility it offers is a big step forward for technology, according to Kochar. The second decade of this millennium is set to deliver further on the mobile promise, Kochar predicts. “Mobile is the next technology that is going to transform business. The speed of business is going to increase. The ability to participate or make decisions or move the business forward is increasing. Social networking provides a similar kind of enabler to speed up collaboration, decision-making and the pace of business. “People are looking for and getting much more control on information and knowledge that they can access when and where they want. I think mobile and social are both driving that transformation,” he adds. The marcus evans CIO Summit 2011 will take place in Dallas, TX from April 11-13.